You have teachers in spirit who counsel you on a daily basis. They have been with you since you were born. They have great information to share with you. Sometimes this connection is lost through daily modern living. These sessions are designed to deeply reconnect you to your internal teachers. On a blanket on the floor. You will have a blindfold and headset on. You will journey 1 time a week for 5 weeks. Lynne facilitates 5 power-filled shamanic journey sessions designed to put you in touch with your most relevant and current teachers. One-on-one journey facilitation. These sessions teach you to journey on your own. Extremely useful during times of transition. 1x per week for 5 weeks. 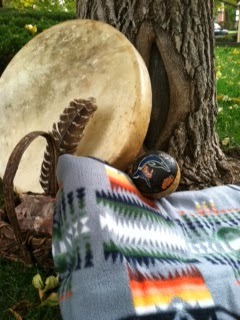 Prior to you beginning the Harner Shamanic Counseling Session. to determine if you are a candidate for journey work.